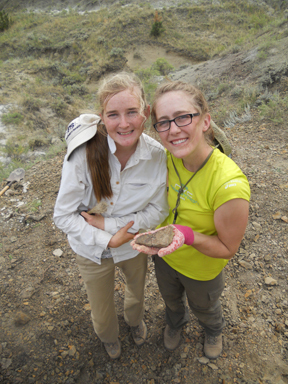 Join us this summer and get your hands dirty excavating dinosaur and mammal fossils and analyzing data that will contribute to research on the extinction of dinosaurs and the rise of mammals. Biology 475A (3, 4, or 5 credits): A five-week intro to paleontological field methods and research. 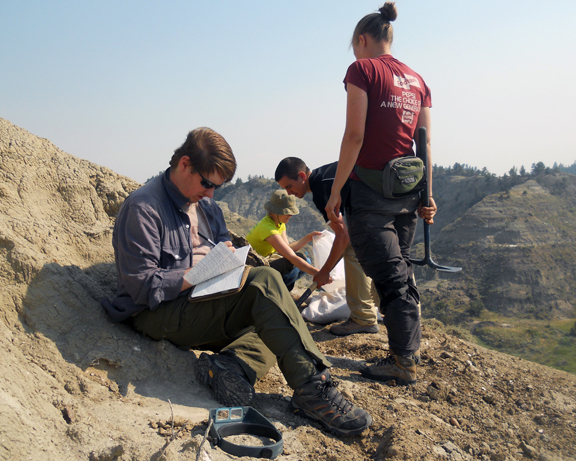 Students develop skills in collecting, analyzing, and interpreting field data and designing research projects by participating in ongoing paleontological research on the Cretaceous-Paleogene mass extinction. Topics include excavation of dinosaur, small vertebrate, and plant fossils, identification and curation of fossils, collection/interpretation of stratigraphic, diversity, and taphonomic data, and report writing. Lecture/Lab Component: Week 1 (on UW campus) consists of two 1.5-hr intro lectures on basic principles in field paleontology, geology, and taphonomy as well as the scientific context of the field research. Week 5 (on UW campus) consist of four 2-hr lab sessions to curate collected fossil specimens, analyze data, and present final reports. 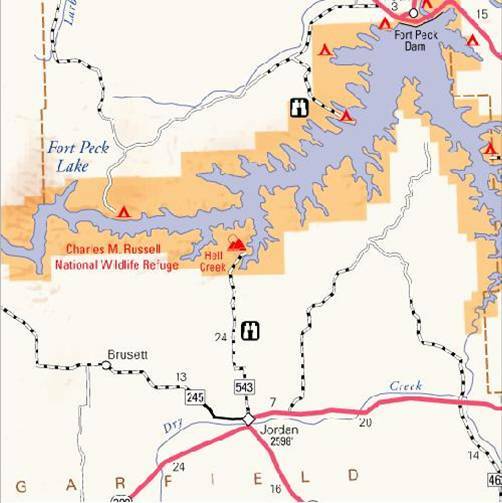 Field Component: For Weeks 2, 3, and 4 (Jun 25-Jul 15), we operate out of the Hell Creek State Park of NE Montana. 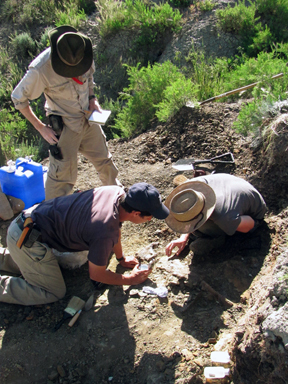 Students first learn basic field techniques in paleontology and geology and gain familiarity with the context of ongoing research in the area. Students then engage in group projects that form the basis of their final report. More info here: field information, field equipment, Montana fieldwork, Charles M. Russell Wildlife Refuge. Fees: There is a course fee of $120 and a program fee of $650. These cover expenses relating to the three-week fieldwork component in NE Montana (transportation RT Seattle to Montana, meals, lodging, field equipment). UW summer tuition also applies. Entry Code: Please contact the instructor (G. Wilson, gpwilson@u.washington.edu) for an entry code. Preference will be given to Paleobiology minors. No required prerequisites. Students recording the lithologic and stratigraphic details of a new microfossil locality.